A former accountant and a former prison officer who underwent radical career changes to become funeral directors have taken on permanent roles at a Swanage company. Malcolm Green, who joined James Smith Funeral Service in Swanage three years ago as a bearer and driver after 14 years in local government finance, has been appointed Manager. His colleague Derek Trotter (nicknamed Del Boy after the BBC sitcom) has extensive experience of funeral arranging and joins the company as a funeral director. “It wasn’t a career I’d ever considered,” said Malcolm, “but I was enjoying a career break when I spotted the advert and it seemed an opportunity to do something completely new. It’s a real privilege to be able to help people at such a difficult time in their lives. The business was run by Lew Fletcher for many years until his retirement – he was immensely popular and well respected so I have a tough act to follow.”Malcolm has lived in Swanage since 1972 and, outside of work, is passionate about amateur dramatics and music; he’s a member of The Purbeck Players and the Swanage Musical Theatre Company. He’s currently studying for a diploma in funeral directing. Derek previously worked as a carer for adults with learning difficulties and has also worked as a prison officer. He lives in Wareham and joins James Smith from a Poole-based funeral firm. He’s a keen stock car racer and owns a share in a racehorse. 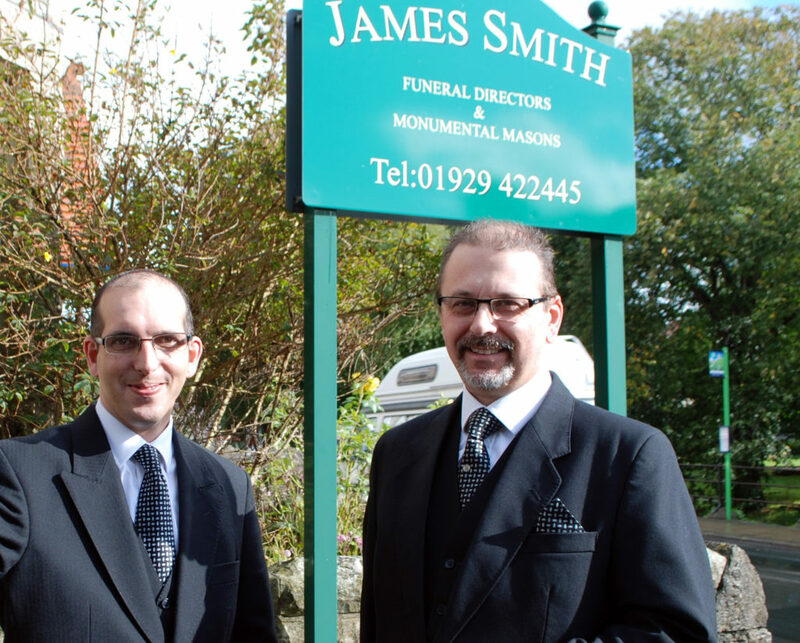 James Smith has been in business since 1892 and is part of the Douch Family Funeral Directors. Other branches include Douch & Small, A.E Jolliffe & Son, Albert Marsh, Ives and Shand and Lesley Shand Funeral Service.